All materials below were created or updated in 2014 and should be considered current, accurate, and ready for agents to use. Intended for homeowners, retirees, recent college graduates, realtors, and interested members of the general public. Find out how E-Conservation can help YOU! The E-Conservation Program was created by the North Carolina Cooperative Extension Service with funding from State Energy Office to inform and educate North Carolina consumers about ways to both reduce energy use and increase energy efficiency in the home. This project is designed to educate and empower consumers to be proactive in reducing their home energy consumption and in saving money through no-and low-cost energy efficiency measures, behavioral changes and home retrofits. 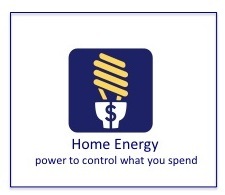 The Consumer Energy Education Project has been active since March 2005. Provides information on home energy efficiency including how energy is used in North Carolina homes, low and no cost things consumers can do to reduce energy demands, costs and payback periods for various energy efficiency upgrades, and “how to” instruction on conducting a basic walk-through home energy assessment.